"If the Ram temple and mosque co-exist it will lead to conflicts," the Shia Waqf Board told Supreme Court court in course of a hearing on the Ayodhya dispute. Ayodhya: In the Ayodhya case, the Supreme Court was told today by the Shia board that a mosque can be built in a Muslim area at a reasonable distance from the site of the temple-mosque dispute. "If the Ram temple and mosque co-exist it will lead to conflicts," the Shia Waqf Board told the court, asserting that the Babri mosque site was its property and it was entitled to hold negotiations. "The masjid can be located in a Muslim-dominated area at a reasonable distance from the most revered place of birth of Maryada Purushottam Sri Ram," it said. It has suggested that a panel headed by a retired Supreme Court judge and all stake-holders should find an amicable solution to the decades-old dispute. The group should also include nominees from the Prime Minister's Office and the Uttar Pradesh Chief Minister's Office, it said. The court will hear the land dispute on August 11. In 2010, the Lucknow bench of the Allahabad High Court divided the disputed land into three parts - one designated for the Ram Lalla (or the birthplace of Ram), the second to the Nirmohi Akhada and the third to the Sunni Waqf board. But the Shia Waqf board argued today that the part of the disputed land given to the Sunni board belonged to it. 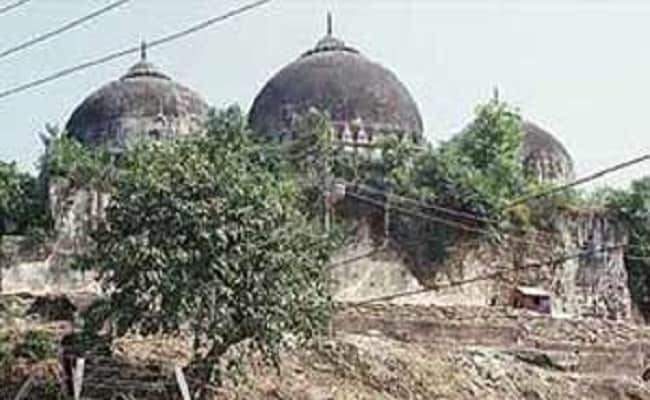 UP's Shia Central Waqf Board had told the Supreme Court that Babri Masjid was its property and only it was entitled to negotiate an amicable settlement of the dispute.